Greater Noida (Uttar Pradesh) [India], Feb 11 (ANI): Prime Minister Narendra Modi said on Monday that patterns of energy supply and consumption are changing globally and countries are coming together to tackle climate change. 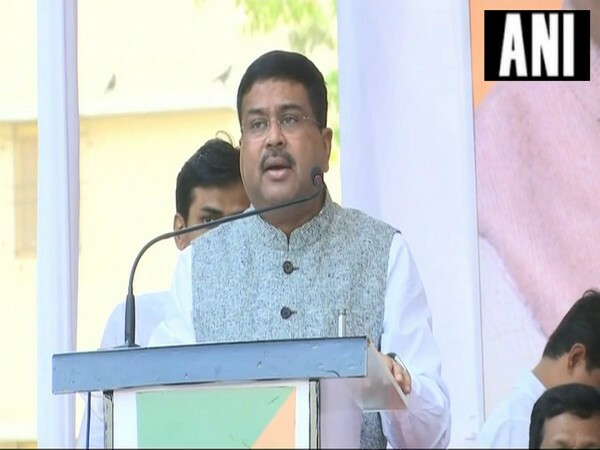 Noida (Uttar Pradesh) [India] Feb 11: Union Minister of Petroleum and Natural Gas Dharmendra Pradhan on Monday launched the general guidelines for setting up of Dealer Owned Dealer Operated (DODO) CNG stations in India. New Delhi, Jan 31 (ANI): More than 86 eminent speakers and 7,000 delegates from 70 countries will participate in Petrotech 2019, the 13th International Oil and Gas Conference & Exhibition being held here from February 10. New Delhi [India], Dec. 10 (ANI): Ahead of Prime Minister Narendra Modi's Digital India Vision, TSD Corp successfully aired the PETROTECH 2016, a series of International Oil and Gas Conference and Exhibition, for Facebook Live Fans. New Delhi [India], Dec. 5 (AN): More than 20 British companies are participating in Petrotech - India's flagship event on oil and natural gas, to exchange views, expertise and experiences in the field. New Delhi [India], Nov 2 (ANI): Stage is set for showcasing India's hydrocarbon strength and opportunities in this low oil price regime. The three days mega event PETROTECH-2016 is just round the corner.